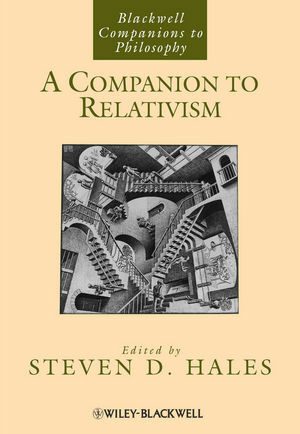 A Companion to Relativism presents original contributions from leading scholars that address the latest thinking on the role of relativism in the philosophy of language, epistemology, ethics, philosophy of science, logic, and metaphysics. Steven D. Hales is Professor of Philosophy at Bloomsburg University, Pennsylvania. He is the author of Relativism and the Foundations of Philosophy (2006) and the co-author of Nietzsche’s Perspectivism (2000). He was recently Visiting Professorial Fellow at the Institute of Philosophy, School for Advanced Study, University of London, and is the author of numerous articles on relativism in journals such as Mind, Philosophy and Phenomenological Research, and Synthese.